Sanriotown Upgrades in Dream Studio! More upgrades have been made in Sanriotown! This time, the modifications have been made on Dream Studio, our video provider with a kick! 1. Thumbnails of related videos will now appear at the end of a played video. 3. Known bugs have been fixed. The official online community of fans of Hello Kitty, My Melody, Bad Badtz-Maru, KeroKeroKeroppi and all your favorite Sanrio characters just got better! The Dream Studio and blog generators now have more entries that appear on the front page of Sanriotown. This will give visitors an easier time to check out who the members of the site are, based on their videos and blogs - and of course, the features themselves. 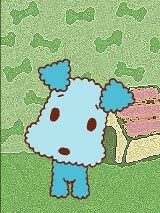 Check out the other improvements of Sanriotown by logging in to your account! The May downloads are now available for our members! Not only do we have wallpapers and calendars for you, but we also have new MSN skins and�icons. We also have new forum avatars an�stamps for your e-mails! We hope you like and enjoy all these freebies and features. We have a lot more in store for you in the coming months, so stay tuned! 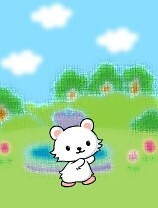 To access and download these cute and fun stuff, all you have to do is sign in to your Sanriotown account. If you don’t have one yet, all you have to do is click here to register. Don’t worry, it’s free! Hi folks! We’re smack in the first week of May, and we’ve got a brand-new contest for all you aspiring directors out there. Hello Kitty Online’s full public launch is fast approaching, and in light of this, we want YOU to show us just how much you’re looking forward to the game by coming up with your very own Hello Kitty Online trailer! The Hello Kitty Online Trailer Contest will test the limits of your creativity. Create a trailer worthy of Hello Kitty Online using any material of your own choosing, along with media files we will be providing, and submit it to Dream Studio for judging. 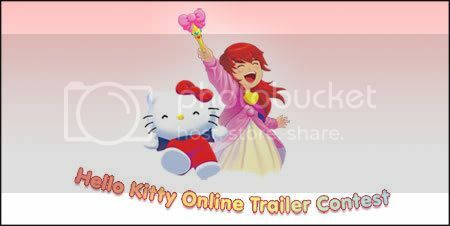 How you go about in the creation of your entry is up to you; just make sure that the trailer shows just how great you think Hello Kitty Online is, and make sure that you follow all the rules of the contest. Unpack it using a program like WinZip, WinRar, ZipGenius, etc. The grand prize winner will receive a Hello Kitty Tote Bag that can only be found in Japan, along with a limited edition Hello Kitty USB memory stick with 1GB memory. The runners-up will also receive a limited edition Hello Kitty USB memory stick each. The first runner-up will get a Euro Hello Kitty pouch, while the second runner-up will win a Hello Kitty Eye Relaxing Patch. A total of 15 contestants will also receive a Hello Kitty USB memory stick each as consolation prizes. You can find the official SanrioTown announcement here, while the HKO trailer media pack can be downloaded from this link. The contest runs from May 1 to June 30, 2008, which is more than enough time for everybody to come up with something that’s sure to make us at SanrioTown proud. Should you have any questions, don’t hesitate to visit the official forum thread. We’d just like to remind everybody that all entries should contain no offensive material, nor should explicit / violent content be used. Each entry should contain all of the elements found in the HKO trailer media pack, and should contain the tag “HKOContest,” otherwise these will be disqualified. All video entries are considered as property of SanrioTown. Good luck to everybody who plans on joining! Greet these adorable Sanrio characters a very happy birthday this merry month of May! We have Sugar, Dear Daniel, Minna no Tabo, Terikichi, Chococat, Tuxedo Sam, Teruteru, Grandma Ume, FroolieMew, Nemukko Nyago, and Marron Cream! Do you know all the Sanrio Characters we mentioned so far? If not, read their profiles below! Charmmy’s Kitty’s jungalian hamster best friend celebrates his birthday on the 1st of May! He was given to Hello Kitty by Dear Daniel the same time that her Papa gave her Charmmy.Happy birthday, Sugar! You are currently browsing the Kitty News Blog weblog archives for May, 2008.